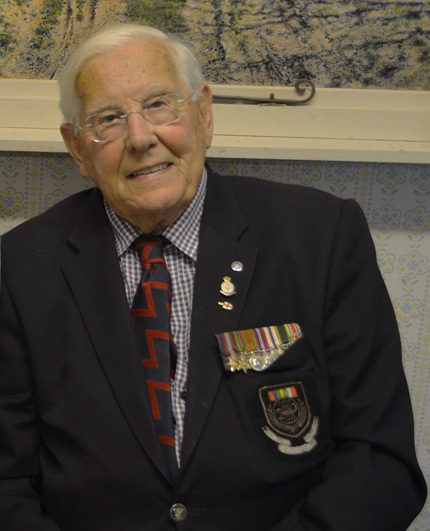 It was a wonderful privilege on the last Sunday of July 2016 for the Museum to welcome the amazing Fergus Anckorn, the Far East Royal Artillery veteran who survived a terrible ordeal as a Jap prisoner of war. 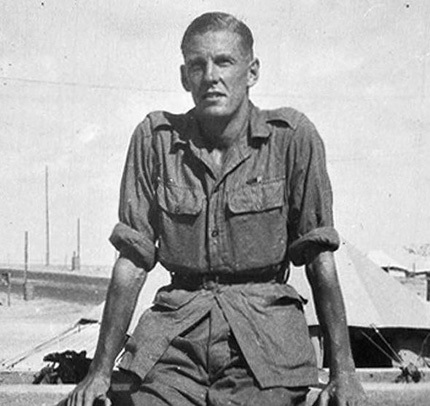 His experiences included escaping the massacre at the Alexandra Hospital in Singapore and later being put to work on bridge building over the infamous River Kwai. At 97 years of age Fergus is a long-standing member of the Magic Circle and thanks to his magic tricks he rose above the worst the Japs could throw at him and in doing so helped many of his fellow captive comrades. Fergus was recently on TV with magician Richard Jones. a serving soldier who won the ‘Britain’s Got Talent’ competition. After a morning session in the Museum talking with visitors and signing books and prints, Fergus demonstrated his wonderful sleight of hand with incredibly clever tricks using just elastic bands and coins. After a traditional ‘bacon banjo’ and a glass of ‘Spitfire’ ale for lunch, Fergus kindly sat out in the Teagarden and with microphone in hand, regaled the assembled crowd with many tales from both his wartime experiences and in entertaining generations of folk with his magic. You are currently browsing the Shoreham Aircraft Museum – News archives for August, 2016.